1. 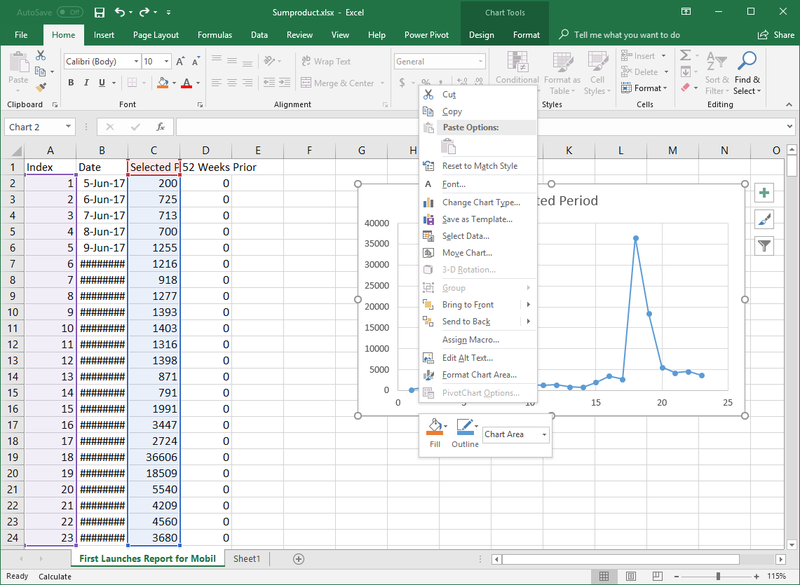 Select the Chart that you have created and navigate to the Axis you want to change. 3. 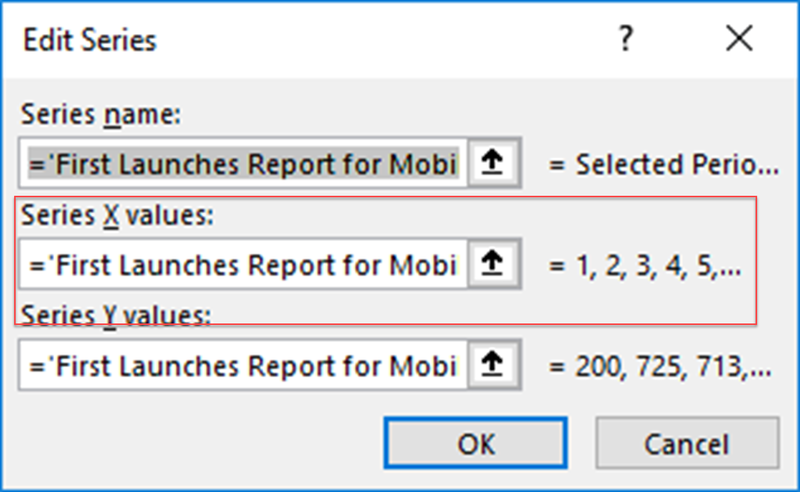 The Edit Series window will open up, then you can select a series of data that you would like to change. 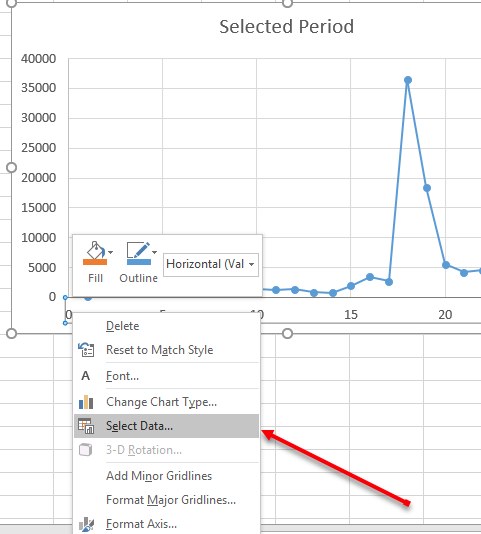 For a time series like months, when you click select data you will not have the option to directly edit the x-axis. However, you still can by simply clicking Edit Legend Series and choosing X values. However, if you graph is chronological or time series based you need to pick a complementary chronological data. For categorical data, you don’t need to worry about this. Also, you can directly change x values from Select Data Source window. But essentially the steps are the same. Create a graph. From the image below, you can see that this graph is based on the index column and the Selected Period column. Our goal is to replace the X axis with data from Date Column. 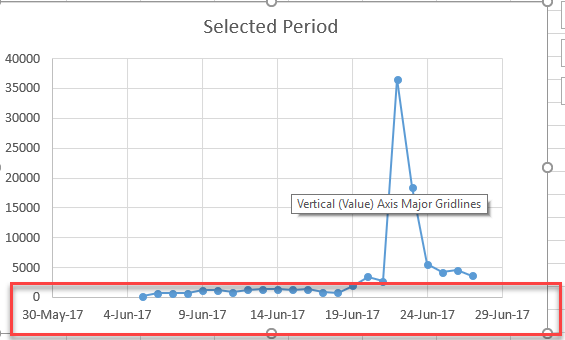 Right-click the graph to options to format the graph. 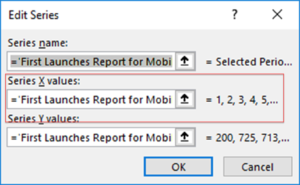 In the options window, navigate to Select Data to change the label axis data. 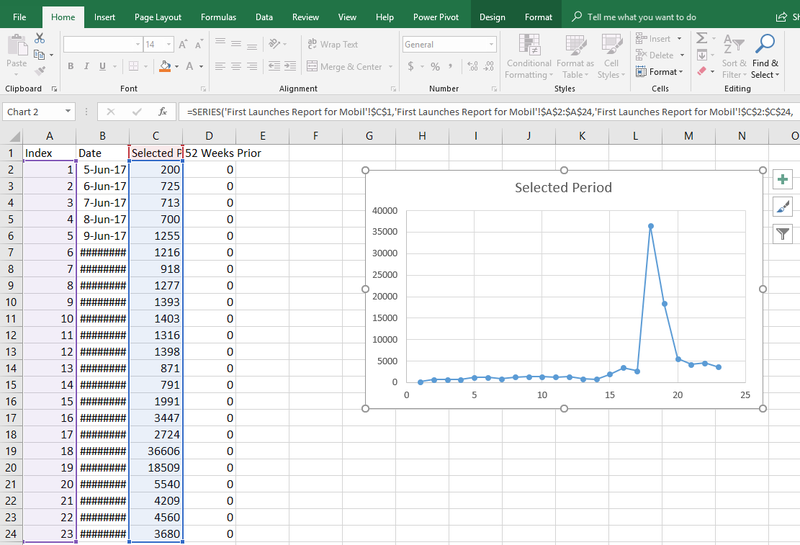 Once you choose Select Data, an Edit Series window will open with information on the axis. Our goal is to change the x-axis so that you can delete the x values and replace them with the new values. If you have chronological data, you can directly access the labels. Once, you add the new data and click OK, you will be able to see the update labels reflecting the new data.